When you hear the name Sipho The Gift being whispered around, you can’t help but feel some sort of a familiar feeling that reminds you that you’ve probably heard that name before. And if you do get that feeling, then it’s probably because you have. Sipho The Gift is one young artist who isn’t new in the game, and since coming into the hip hop scene, he has grown quite a following strictly because of the music, which anyone can respect. 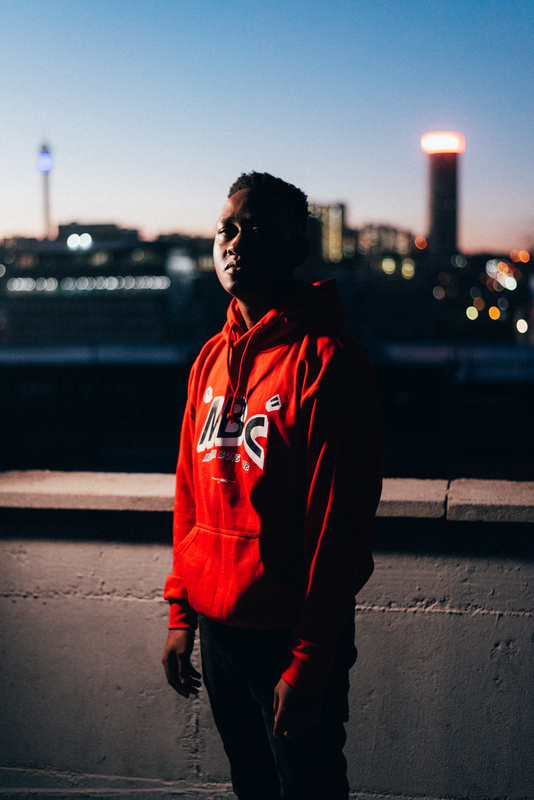 Since dropping Kintsugi, which came after he took a short break from it all, Sipho The Gift is more active than ever and of course HYPE was going to reach out to the MC and find out how it all started out for him. Can we please begin by talking about your past and how you got into the hip hop game for those who don’t know? What convinced you that this was what you had to do? I started listening to rap through my older cousin bringing MP3 CDs into the house. He had all the West Coast and East Coast’s most popular releases at that time. It was something foreign but felt so familiar at the same time. Later on I found out that we had our own version of this great thing I had found through Jabba, PRO, Proverb, Selwyn, Wikid and Amunishin, and of course Skwatta Kamp. Later I got my hands on a book and started writing my own ‘songs’ and playing the guitar (which got me into making my own beats that I would one day rap over). I continued writing but I didn’t really take the rapping part seriously until I got into my first year at varsity and I needed a coping mechanism. I released ‘Phanda More’ soon after that. I kept doing it because I truly loved it and the reception was great. Word. What would you say makes your music stand out from the other records that are filling up the game? What continues to motivate you to make the sounds you make? That’s a tricky one to answer from my POV (point of view). I will say that more often people tell me that I don’t look, sound or behave like a typical rapper. I think my image, persona and creative process is informed by more than what’s out and popping at any particular moment. I’m inspired by the very people who fascinated me when I fell in love with music and that ‘feeling’. It’s a feeling I hope to replicate in another young boy or girl. Yo since Coming of Age, what kind of an artist would you say you’re emerging into, especially since dropping your latest Kintsugi album? Firstly, I have to say I didn’t necessarily see myself as an artist when Coming of Age dropped. I was just a kid who liked rapping and wanted to rap at everything until nothing was left standing. Since then, I’ve learned a lot about my process, what inspires me and what I’m good at and what I’m not so good at. I’m maturing into an artist who is exceptionally introspective with enough lyrical punch to outbox in any arena. I hope to further grow into an artist who can not only make a dope song, but make people feel and find new layers in meaning years from now. Kintsugi was a toe-dip into the pool of possibility and potential. We get it … Now what have been some of the challenges you’ve faced while grinding in the game over the years, because there was a time when you took a break from it all? Dropping Coming of Age from my dorm room was great. Especially with the national and international recognition that came from it. But after that I quickly learned I lacked the expertise to follow up as I had no manager, no funds, label, no knowledge and no plan to capitalise. I took a year away from school to figure it out. I was taking label meetings, travelling constantly and putting out music all while sleeping on floors at this point. Things spiralled and the whole struggle put a sour taste for music in my mouth. I got a job, forgot about music and two years later the bug bit me again and I made Kintsugi. That’s crazy … Talk to us about the messaging behind your Kintsugi album and what impact you wanted to make with it. Dissect that one feature too. Well the concept for Kintsugi really came to me while I was more than halfway done with the EP. Somewhere in all the chaos I fell in love with music and God again, then I figured that everything I had gone through was the catalyst. My trials weren’t necessarily the straw that broke my back, but the springboard to my next level. So if you look at the concept of Kintsugi, it’s a Japanese mending practice whereby pottery is fixed using gold and lacquer powder. The pot is not less beautiful because of its scars, but the philosophy says the pot is in fact even more beautiful because of them and what it’s been through. That’s what my life was conveying at the time and that’s the narrative I wanted my music to convey too. I wanted the album to be as multilayered and contextual as the concept itself, and I knew I wouldn’t get that with predictable rap features and production. So I reached out to Pascal (YumYck) and Oshoku. They helped me to piece this all together. That’s true … Which other artists would you say really represent the future of SA hip hop sound? Well I think the future lies in variety and I think we have some really interesting artists out there doing dope things and innovating in different lanes. You get people like ByLwansta, PatricKxxLee, The Wrecking Crew, Sho Madjozi, Sam Turpin, The StepTwins (and the whole internet crew), Shane Eagle and Robin Thirdfloor and many more. Everyone doing something fresh and different is dope in my books. Just to conclude, how far are you projecting on taking yourself, especially with the music, in 2018? This year I plan to relocate to JHB where most of my SA audience is from. With more shows, more music and a rigorous push to put a face to the Sipho The Gift brand, I project I’ll have a productive year. The end goal is to develop into a fully autonomous and streamlined music-producing machine, making timeless music and touring the world. With time I’ll get there [laughs]. I think people can expect a few projects (as early as the first quarter of 2018), a lot more collaborations and more consistency from me this year.